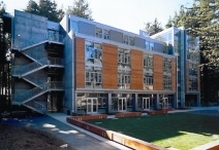 UC Santa Cruz Coastal Biology Building The Santa Cruz Campus proposes the Coastal Biology Building to provide 33,235 assignable square feet of office, research and instruction space for Ecology and Evolutionary Biology, a Physical and Biological Sciences Division department. 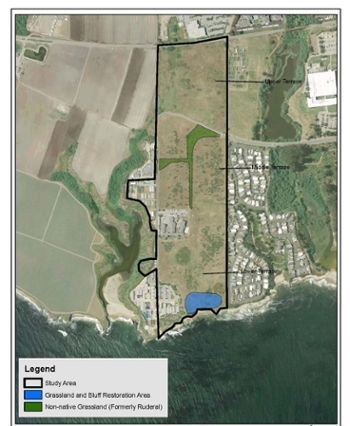 The Coastal Biology Building project would provide additional space for the Ecology and Evolutionary Biology department, and release much-needed space on the main campus for Ocean and Earth and Planetary Sciences. 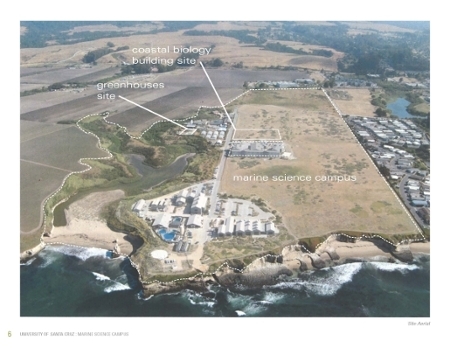 It would serve as the center for marinedependant and coastal-related biological sciences research and study, and, located on the Pacific Ocean coast at the Marine Science Campus, would bring together faculty and students to promote scientific collaboration, the sharing of specialized facilities, and the integration of instructional and research activities. The project includes development of a discrete utility yard on the Middle Terrace east of the CDFG facility. A small public access parking lot (Parking Lot A) is proposed at the entrance to the Marine Science Campus (at Delaware Avenue and Shaffer Road), and the first approximately 1/3 of the existing entry road, known as Delaware Avenue Extension, will be converted to a pedestrian trail and partially restored to improve habitat connectivity in this area. A new road segment will be built to the south of the abandoned road. The project also includes extensive improvements to underground utilities, primarily within existing utility corridors. Proposed development in the Upper Terrace is confined to a staging area and a public access pedestrian trail along the east border of the MSC, adjacent to Shaffer Road. The remainder of the proposed project involves a trail system for public access that is associated with several overlooks for public viewing and interpretation, located primarily in the Lower Terrace. this is my new text on the left.